Interesting Facts About The Loch Ness Introvert | Come on in! Interesting Facts About The Loch Ness Introvert – Come on in! She lives in the Loch Ness lake in the Scottish highlands by herself. She is said to have a snake-like head with a perpetual angry expression that’s a turnoff to most monsters. She never socializes with large groups of monsters. No one has ever made eye contact with her. There’s nothing she hates more than meeting new monsters. If you really want to make the Loch Ness Introvert angry, throw her a surprise birthday party. She’s been spotted more frequently since she started dating the Loch Ness Extrovert. If you spot the Loch Ness Introvert by herself reading a book, that means she wants to be alone. She does have a small group of close monster friends, and she’s a good listener. 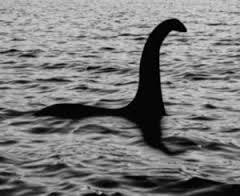 The BBC is planning a miniseries about The Loch Ness Introvert. She will be played by Dame Judi Dench.